What does it feel like to be mythical? I’d like to ask the ghost of the artist Rammellzee. Even in life, he was described more often as alien than human. He strolled through the streets of downtown Manhattan armored in elaborate costumes that occasionally emitted fire, leaving a trail of rhymes and rumors along the way. 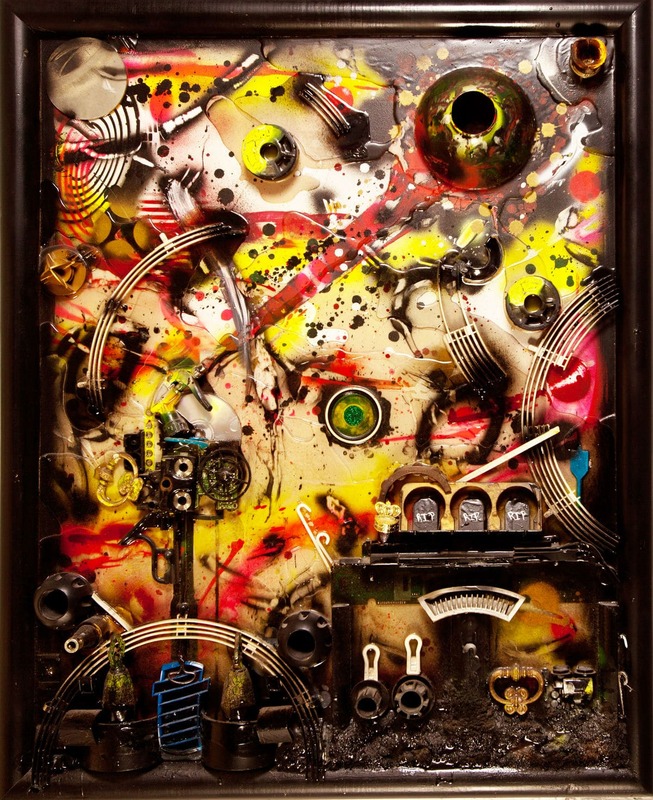 Rammellzee was born in 1960 in Far Rockaway, Queens. Those who know the original name that appears on his birth certificate are tight-lipped. “It is not to be told,” Zagari once said. 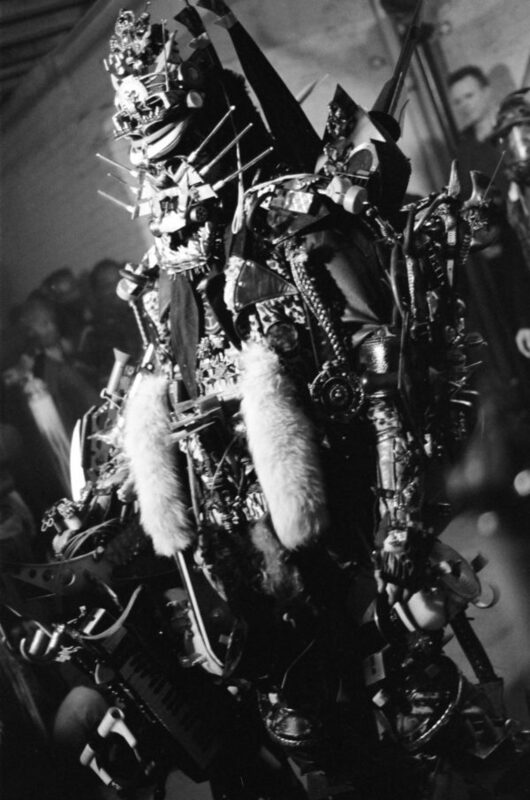 “That is forbidden.” At a young age, he had it legally changed to Rammellzee, shortened affectionately to “Ramm” by his friends and fans. Keith Haring, and Lee Quinones. 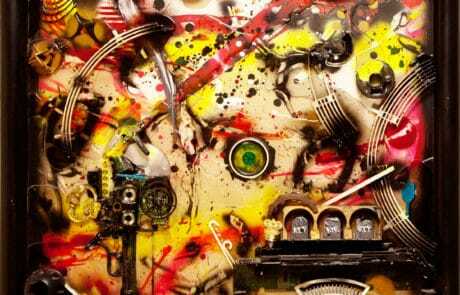 Rammellzee’s territory was the A train, which snaked from his home in Queens to downtown Manhattan, the avant-garde’s inner sanctum. 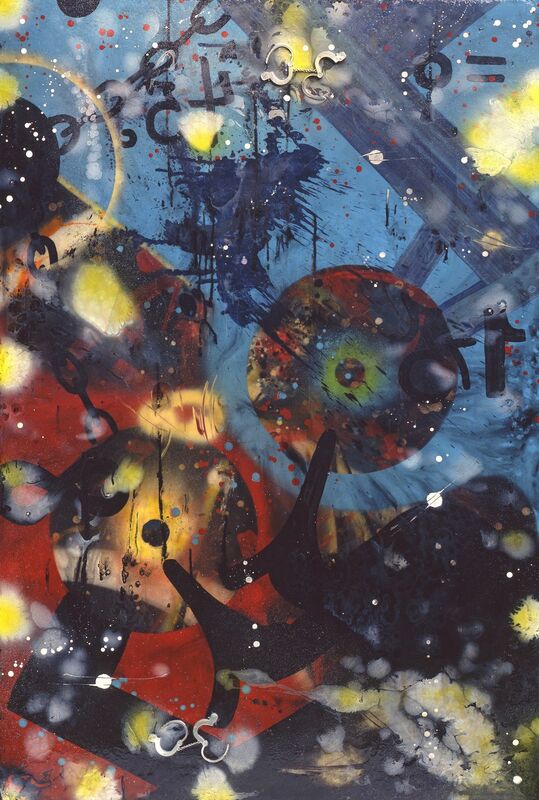 It was on the A’s dirt-smeared hull that he began developing his painting style and the philosophy that powered it. “The lines came to me in the dark. I drew because of anxiety, desperation, third rails, and cops. 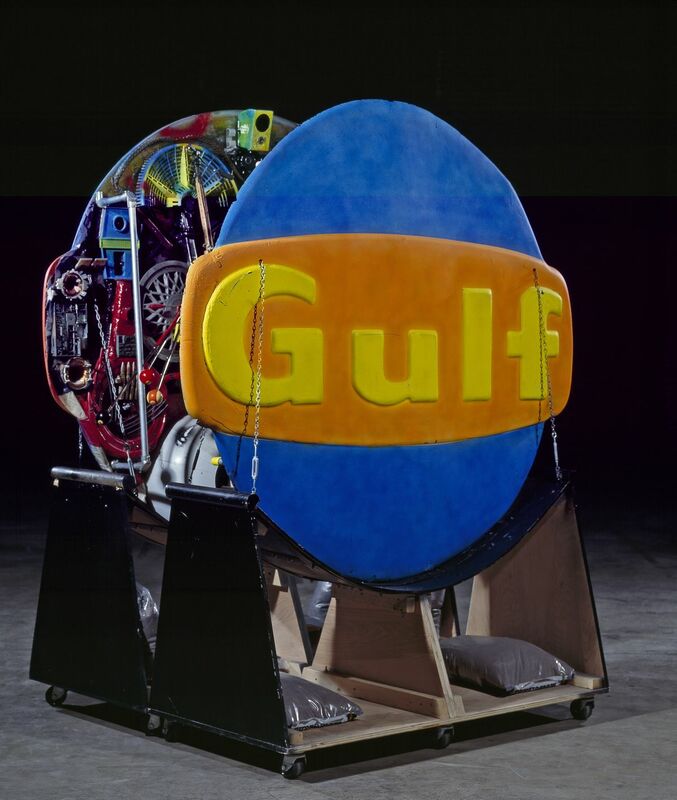 I made quick decisions,” he told writer Edit DeAk, in a 1983 issue of Artforum, of his early days bombing trains. For him, the process of painting began instinctually in the black vortexes of these tunnel-studios. “Graffiti was created in the dark when you can’t feel, when you can’t touch,” he added. New York in the 1970s was riddled with poverty and discrimination, bolstered by deepening class and racial divides. Starting in the ’50s, poor, primarily black communities had been pushed out of Manhattan all the way to subsidized housing in the beach community of Far Rockaway, where Rammellzee’s family landed. For him, and for many early graffiti writers, spraying trains and walls became a way to let off steam, wield power, and claim space. These ideas became the basic components of Gothic Futurism, a philosophy that Rammellzee continued to develop over the course of his life. As time went on, it became a full-blown cosmology, filled with characters hell-bent on saving letters from “being institutionalized, locked into the system that is magnetized to our fridge doors,” as writer Dave Tompkins has noted. 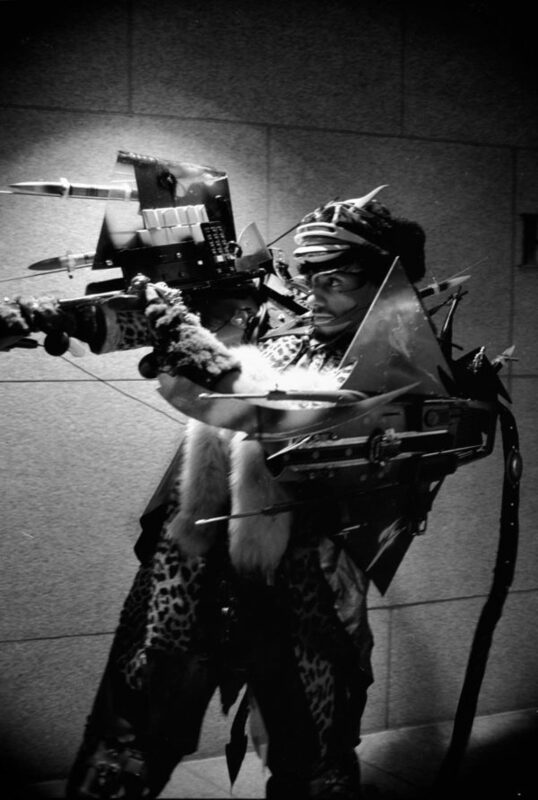 Whether performing or simply walking around town, Rammellzee’s fingers, waist, and chest were ornamented with thick, studded jewelry; he sported fur-accented hats and coats, and Geordi La Forge-style sunglasses. It was a look that would have been suitable for an intergalactic explorer-hustler—and it would only become more elaborate. By the 1980s, New York City mayor Ed Koch launched a campaign to remove graffiti from subways. 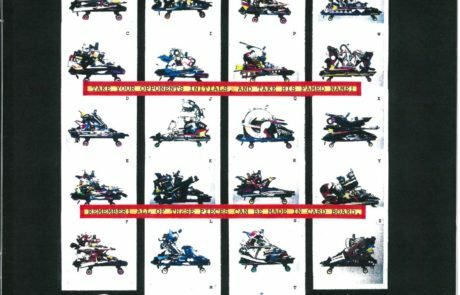 In response, Rammellzee began broadcasting Gothic Futurism through paintings and sculptures forged in his Tribeca apartment instead. 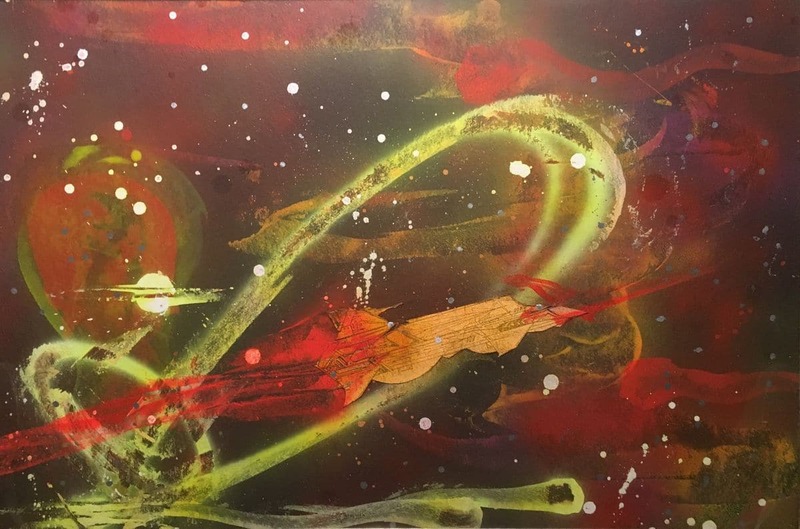 They depicted volcanic, cosmic spaces where jagged letters, as sharp as scythes, exploded from shiny pools of resin, leaving splatters of neon spray paint in their wake. Often, they took aim at their enemy—society itself—represented by chains, handcuffs, and gaseous, sickly green clouds. 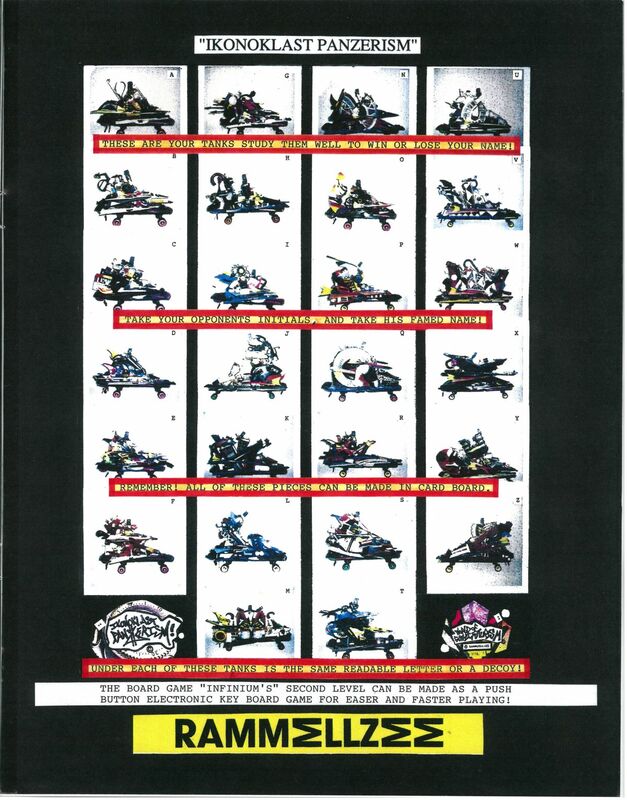 Word spread of Rammellzee’s mystical, graffiti-inspired paintings—which were also newly sellable, now that he made them on portable boards instead of on the surfaces of trains. The art world’s downtown galleries took notice, and he began showing across the U.S. and Europe. 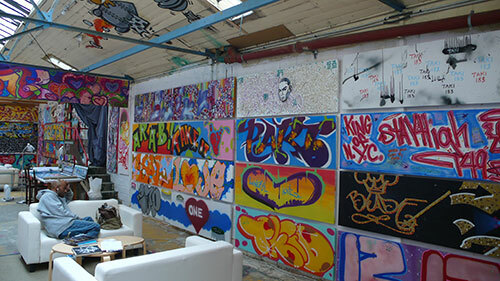 A diverse swathe of works from this era will fill Red Bull’s second floor. 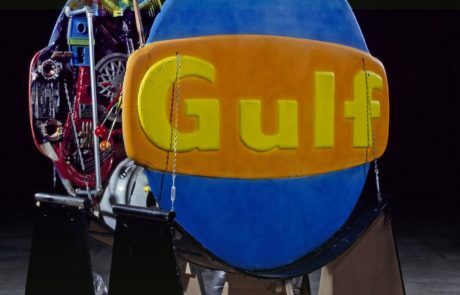 But the real Gothic Futurist gold is on the first floor, where the sculptures and theories Rammellzee developed in the 1990s and 2000s will be brought to life in an all-encompassing installation depicting his cosmic, semiotic war. “The viewer will walk through a battle that’s poised to kick off,” Wolf explained. There, he began to fashion scavenged materials into a three-dimensional army of liberated letters, which he called “Letter Racers,” as well as the characters and magical objects that existed in their Gothic Futurist world. 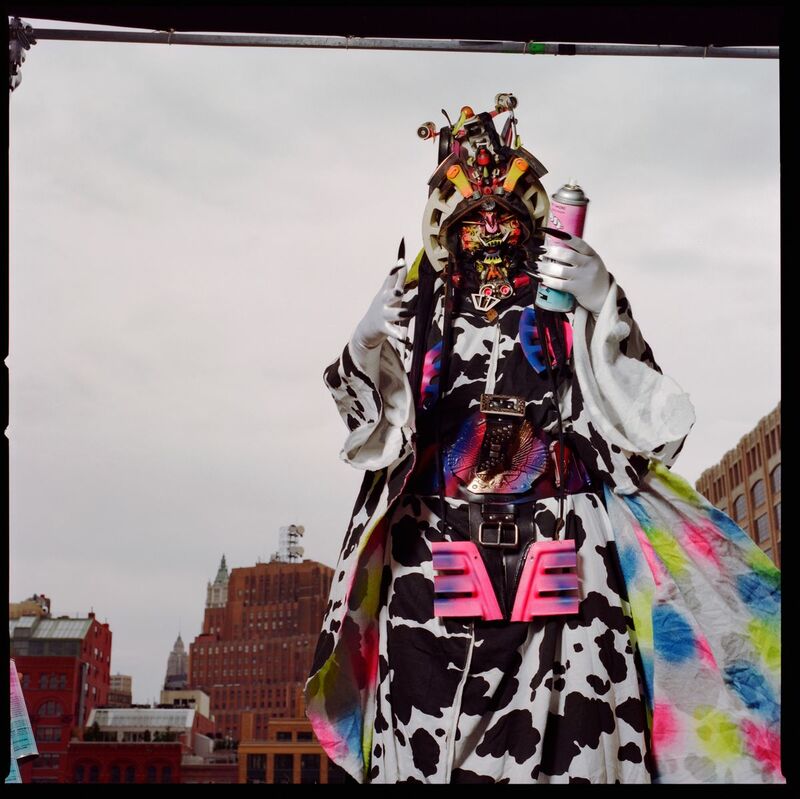 He rarely left the Battle Station as Rammellzee, instead choosing to emerge as one of his 22 cosmic characters, called “Garbage Gods,” like Alpha Positive, Crux the Monk, or Igniter the Master Alphabiter. 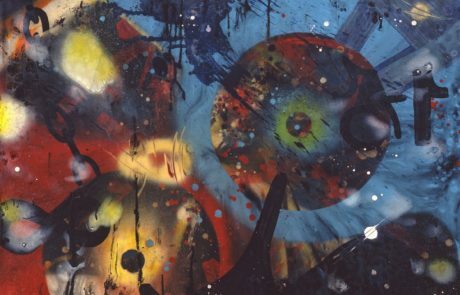 While he’s no longer here to witness it, Rammellzee’s legacy lives on in the vast cache of work he left behind. 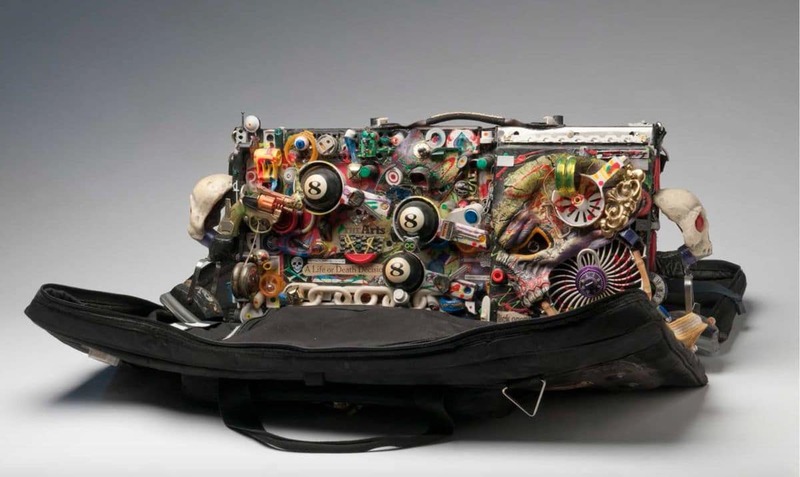 The artist died in 2010 at the age of 49, due to complications resulting from years of alcohol consumption and the inhalation of toxic fumes produced by the resin he used to make his work. 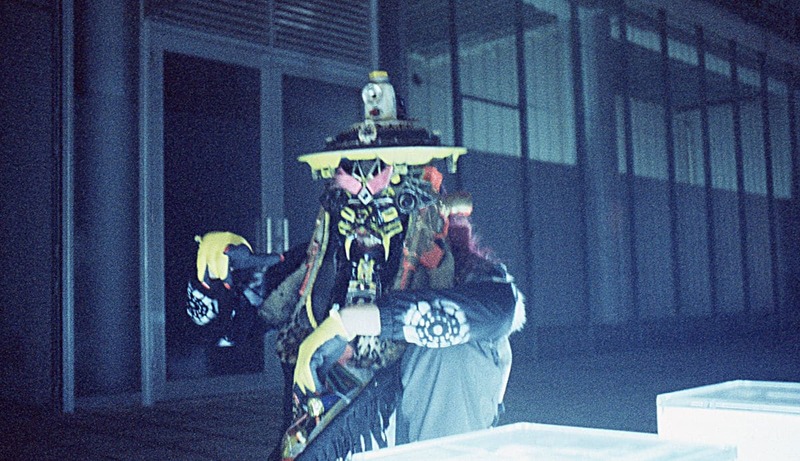 Indeed, when talking about Rammellzee—mythical figure that he is—the prospect of immortality or reincarnation doesn’t seem implausible. Alexxa Gotthardt is a Staff Writer at Artsy.